In Gad Saad's book the Evolutionary Bases of Consumption, he outlines how the new discipline of Evolutionary Psychology can be applied as an additional tool to compliment the current body of research regarding consumer behavior. Thus this approach does not replace but enhance the current concepts applied to consumer behavior such as MAO, Theory of Reasoned Action, and Information Processing theory (Central vs Peripheral information processing). After reading his text I thought that there were some interesting parallels to the domain of organizational behavior and human resources. I am going to give a short discussion on each module (I really can't do them justice but it should give you a general idea of the thought process). If anything I hope this will give you something extra to think about when you are trying solve the somewhat intractable problem of designing the optimal organization architecture or setting up your organization so that your employees will behave in ways that are consistent with your intent. Obviously not every behavior/situation has an evolutionary etiology. However for those that are good fits for using this paradigm, I think it is a useful tool that should be considered. His framework is broken down into 4 regions of analysis. This concept is based on the ancient survival instinct. 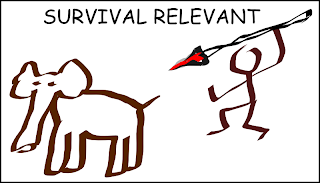 Behaviors and situations that threaten our survival, such as loss of access to life sustaining resources or the threat of violence are some examples of triggers for this module. A good thought experiment is, if "I was a cave man how would I react to this?" In this modern world the direct relation is not exactly one to one, but you could imagine that losing one's job translates to losing one's means of survival. This actually ties into the other modules as well since most of these are interdependent. This concept is based on the fundamental rule of how friendships and partnerships are forged. The idea that cooperation can only be built through an expectation that when you do things for someone that they will return the favor. Performing altruistic actions for each other, with the expectation that you will be visited similar beneficial actions in the future is the core of reciprocation. This is an oversimplified explanation but I think it covers what you need to know. This module becomes interesting at two points, when favors are rendered to others and when the chain of reciprocation breaks. Think of this as the unspoken social contracts that we broker on a daily basis. When people do not hold up the other end of the bargain a negative primal reaction can occur. Deeply embedded in Reciprocation is the concept of fairness. This concept is based on the idea of 'family dynamics'. Specifically how altruistic behavior can manifests itself within units that are 'related' in a genetic sense. I would also argue that 'synthetic' families such as (people you have spent a lot of time with, friends (especially those you make during time of crisis), wartime comrades etc) 'could' also fall under this paradigm. For instance why do you care more about your friend being sick than a stranger? Why do you love your children more than your neighbor's children? If you could imagine that the way we define family is as simple as, those who we spend a lot of time with AND share goals with, then it is possible to extend the genetic family behaviors. This concept perhaps requires the least explanation. However it's relevance to Human Resources is particularly interesting I think. The basic argument being that a large amount of our behaviors are driven by the desire to mate, have children, and protect those children. This is interesting because there are some fundamental differences in how men and women process this module. An interesting topic that you don't hear much about is Sexual Harassment in the workplace, productivity, compensation, and risk taking tendencies. All of these appear to be at least somewhat related to the mating module. Here are 3 topics in human resources that I will attempt to provide an alternative method of analysis for using the 4 evolutionary modules detailed by Gad Saad. An issue that is common in corporate circles is the spread of rumors. Specifically rumors related to loss of benefits, the next bonus, who's sleeping with their boss, layoffs, nepotism and so on. I believe a key concept here is that you can predict the spread of rumors by the context of them. For instance if rumors have some relevance to the 4 stated evolutionary modules, then they have a good chance of spreading in an automatic fashion. Take say... the rumor that "Bob has high blood pressure" vs "Sally has herpes." I'm pretty sure that Sally has herpes will win hands down in rumor spreading because of its mating/survival relevancy. I bring this up because, many times when there is impending news of layoffs or changes in compensation, it is important to address these concerns more carefully than you would normally handle other situations. Because of the relevance people are going to be hyper tuned into this information and will be scrutinizing everything you do very closely. 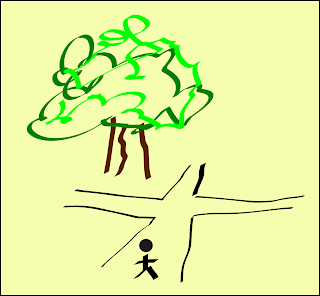 The key is, many times messages are stated, but the keen observer will drill down to the core basics of the message. If there is something fundamentally awkward with it, they will come to their own conclusions and this distorted version will propagate faster than any communication you can send out. Executive summary: If you have an issue that is related to the 4 modules, you better be very careful in how you handle the situation and the message you communicate to your organization. Bonus: The issue of 'fairness' seems like it doesn't belong to any of the 4 modules, but in fact I would say that it relates strongly to 'reciprocation'. Justice in repaying your debts as Plato would talk about. Breaking of fair social contract is a human universal that people react strongly to. I don't know the figures on this but my best guess would be that a vast majority of 'reported' sexual harassment cases in the workplace are most likely placed by women. This apparent imbalance is to be expected though, if you believe that men and women approach this subject area differently. There have been studies in the past that seem to come to the conclusion that men have a tendency to interpret most interactions with women through a mating relevant lens. So natural friendliness on the part of a female is many times interpreted as an invitation by men, regardless of whether or not it 'actually' is. This also plays to the Survival module for women I think. The idea of harassment at the workplace perhaps creates an environment of Fear. Either way a hostile work environment is the last thing anyone wants. This isn't exactly what they say but that's the jest of it. Executive Summary: Sexual harassment is always going to be a constant challenge as long as we have mixed gender office settings. How you handle the harassment events is going signal your stance on it. One of the most important interesting issues related to compensation is the dynamic tension between correctly finding the balance between enough 'carrot' and not breaking the bank. On one hand it seems only natural to attempt to reward your employees based on their contribution to the bottom line. Yet many times it is impractical to do so. Many companies resort to generating stable and consistent raises that seem to be mostly invariant against performance. Although this provides some stability and ease of forecasting at the top level, it generates some interesting behaviors at the ground floor. People start to notice the invariance and adjust their effort accordingly. Key hypothesis: Increases in means or salary are met with X units of positive feeling. Decreases in means or salary are met with significantly higher than X units in negative feeling. "If you want to raise prices... raise them once and to the level required. If you want to lower prices, lower them in a staggered fashion. This is due to the asymmetry in how we take good bad news (from the customer's point of view). Thus when things are bad you might as well 'bundle them'. When they are good stagger them out. " 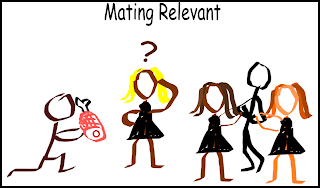 The Mating module of course comes into play since means and salary are historically linked to value. Perhaps this seems old fashioned but the instinct of losing your means still packs the same punch in the face. Also a sudden loss of means also hits the Survival module in a similar way. The thought of losing food on the table is much worse than missing an opportunity to get more food. Key hypothesis: When giving bad news such as layoffs, give them in a single shot versus a series of bad news slowly eating away at the soul of your employees. When giving good news, build a stream of positive energy over time. This will allow you to minimize damage and maximize the positive feelings related to actual good news. So what is Human Resources to do? Compensation is a difficult subject because of the complexity. 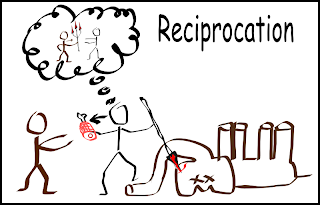 I would say that it may be easier to frame the analysis by looking at the Reciprocation module. The concept of Reciprocation is deeply rooted in 'fairness' and the exchange of 'equal value'. If a person feels they are doing worthwhile work, then as long as the compensation is in line with others of the same occupation then they most likely will not hyper-focus on increasing income (at least to a point). I think that you are less likely to have an HR situation blow up in your face if you always proceed in a manner that is fair to a vast majority of observers. Kin selection module to the rescue! If the simple rule of creating group membership or 'family' can be transposed to groups of individuals who are not related, then this idea would be powerful in the realm of creating a 'kinship' amongst an organization. If you strive to honestly pursue the concept of the organization as a family and you act in congruence with that concept, you may have the ability to override some of the other reactive modules. Specifically, if you have made an honest effort to treat the company as a family and your employees honestly feel that way, you have a good chance of executing a salary freeze or temporary raise freeze without causing a mutiny. Again this requires a strong appeal to the kinship module (this also does not happen overnight, you need a history of treating your employees like family if you ever hope to pull this off). When I was working at a semiconductor firm in college, the company I was working at held a salary reduction for the highest paid employees so that they would not lay off any engineers during the down turn. From what I understand they did not lay off any engineers due to that time and once things picked back up, they kept trucking along. I don't think they would have ever pulled this off smoothly had they not instilled some sort of kinship amongst the company. The flip side of this is when you do actually do something less than fair. You have solidarity coming against you. Executive Summary: When trying to determine HR policies you need to take a bottom up view of how employees will actually respond to them. Think of it as applied game theory with the payout matrix inherited from the 4 evolutionary modules I have outlined. If it is aligned with your way of doing business, creating a family context for your employees can be advantageous. Since scenarios and actions related to the 4 evolutionary modules are so important to us, it is a logical extension that we should be particularly good at noticing sincerity and authenticity with respect to them. More specifically, if you are going to appeal to your employees using these 4 evolutionary modules, you need to be congruent in your overtures and actions. Your appeal must be authentic since they theoretically should have a high sensitivity to deception concerning these modules. to help determine the proper course of action in a few common HR scenarios. The one thing I would like to stress is that, this is but one tool that you should use in making any determination. Of course it is far from perfect but I think it does help give you an alternative way of looking at these situations that may help you in your final decision process. I admit I made these examples up as I went in the course of about 30 minutes so forgive me if they are not fully fleshed out or perfectly compelling. I just wanted to throw something out there that I had not seen anywhere else. An Evolutionary Psychology based approach to Human Resources. I hope you found some of this interesting.